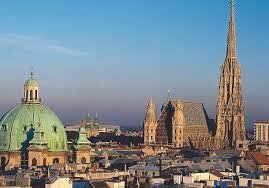 Becoming the best place to stay is Vienna put behind Melbourne. 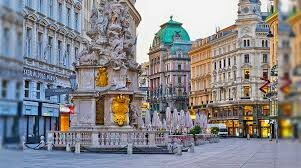 Austria's capital, Vienna, has achieved the distinction of being the best place to live. Vienna has put the Australian city Melbourne behind this issue. This information came against the survey of Economist Intelligence Unit Reckings. This is a shock to Melbourne and its residents, because Melbourne has been at the top of the rankings for the past seven years. However, this time Melbourne gave a huge fight to this issue. In this match between 140 cities, Vienna had 99.1 and Melbourne 98.4 points. Vienna's low crime rate helped him to get this position as the highest target on this survey is given on crime rate figures. The two cities have topped the list of healthcare, education and infrastructure. Both positions have been better than last year, but Vienna has improved it a bit more. Apart from Vienna, Melbourne, top five cities include Osaka, Japan's Calgary and Australia's Sydney. London has been ranked 48th in the list, but New Delhi could not be included in the top-50. France's Paris is at 19th and New York's 57th position. 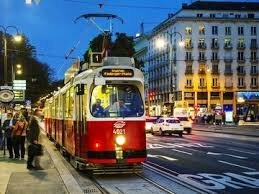 Vienna's population is 21 million. In this city there are beautiful green ponds and beaches besides greenery. Public transportation is also very cheap there. According to the list, the worst place to live is Damascus. After that Bangladesh is in Dhaka and Nigeria is Lagos. The survey did not include cities like Baghdad and Kabul in dangerous cities. It is worth mentioning that for the past two years the European Union has witnessed many terrorist attacks. Both Melbourne and Vienna have received a similar rating in the category of infrastructure. However, Vienna has the highest number of cultures. Cities such as Osaka, Kalagari and Sydney have been ranked among the top five in this list. London is ranked 48th on the list. Vienna is a favorite destination for tourists. It is famous for greenery, beautiful lakes, popular sea coast and vaingyard. Where public transport is also affordable. It is considered one of the safest cities in Europe.